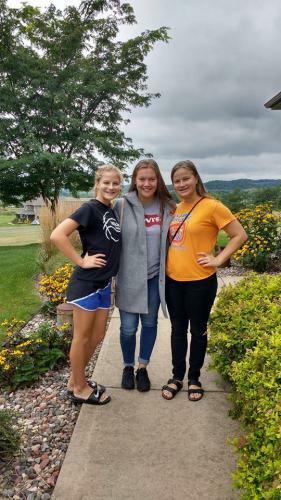 Judith, an Ayusa German exchange student, spent her year living with the Justus family in Wisconsin. She wrote this sweet letter to her Ayusa Community Representative that talks about her favorite memories from each month. My time in America is almost over and I’m writing this letter to tell you about some of my favorite memories. One of the next highlights was definitely Thanksgiving. I can’t believe how much food we ate that day. Before Christmas, I went to Rotary Lights a lot which looked so beautiful. For Christmas, I got so many presents, it was crazy! For New Year’s, I had a sleepover at a friend’s house. In April, we had Prom. It was freezing outside but everyone looked so pretty and the dance was great. I really wanna that you for always being there for me! I enjoyed being here so much! Bring the world to your family and host an exchange student! Click here to learn more about hosting and the benefits it can have for your family.